Hey everyone, I just wanted to let you know that our Labor Day Sale is live! Now is a great time to stock up on song specific patches, sound libraries, or our templates. 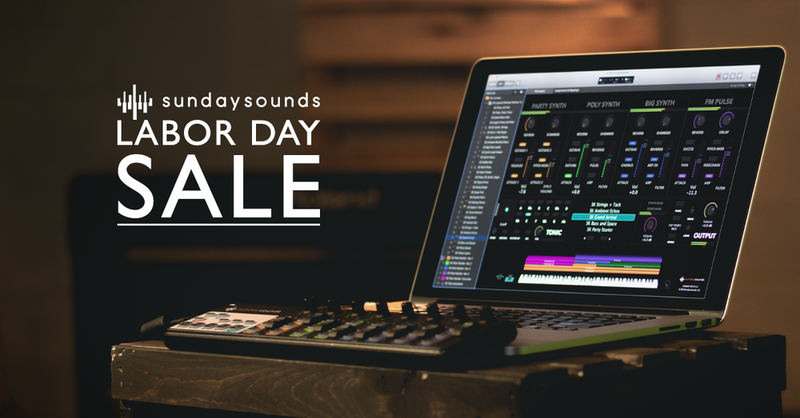 Save 20% off all digital products including SUNDAY KEYS FOR MAINSTAGE AND SUNDAY KEYS FOR ABLETON!!!!!!! *Sale ends September 5th at 11:59 PM Pacific Time. Terms of sale subject to change without notice. Physical products excluded. Build My Life- MainStage Patch Is Now Available!